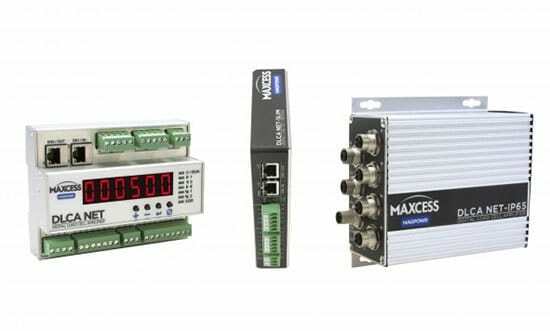 Magnetic Particle Clutch Brake - Allied Automation, Inc.
Utilizing the Magpowr brakes and clutches, you’ll have exceptional control as torque is independent of slip speed and directly proportional to input current. 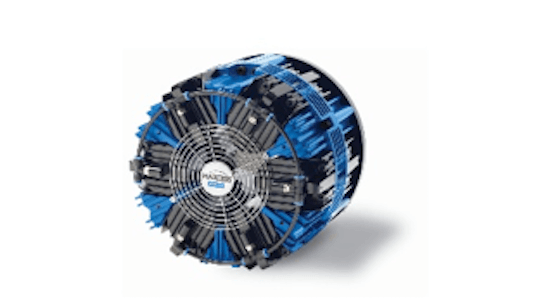 Versatility and flexibility are the real benefits found in MAGPOWR’s Global Series Magnetic Particle Brakes, as they provide smooth, repeatable, controllable torque independent of speed. 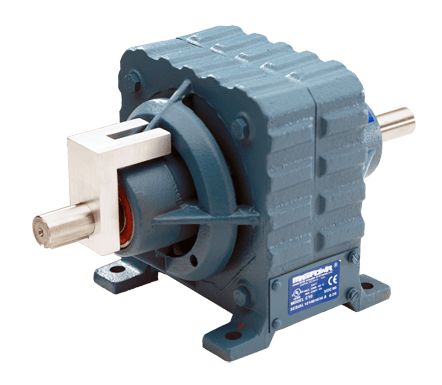 This makes them suitable for all kinds of power transmission and tensioning applications. Sizes are available from 5.5 to 325 lb-ft of torque. 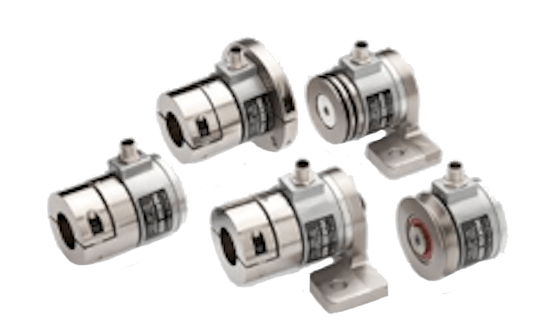 This line of brakes features state-of-the-art magnetic particle technology and its compact size is due to through-bores on all machined housings for ease of mounting. 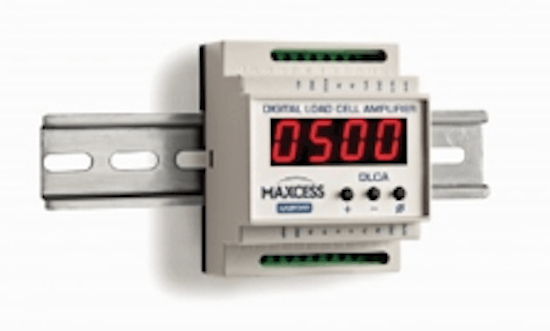 The M (Metric) series boasts full metric bores and keyways, as well as metric mounting hardware and setscrews to support international design requirements. The brakes are also available as 24 vdc or 90 vdc. Torque is the power behind tension control, but it’s useless if there’s no regulation or guidance. The original SOFSTEP brakes with MAGPOWR controls are popular throughout the industry because of the smooth controllable torque they provide for power transmission and tension applications. As the original SOFSTEP provider, MAGPOWR offers these brakes in a variety of sizes with torque ratings from 2-240 lb-in. Utilizing the SOFSTEP brakes and clutches, you’ll have exceptional control as torque is independent of slip speed and directly proportional to input current. These controls prevent shock and torque spikes during engagement, giving you controlled acceleration of every load. B Series Shaft Mounted Magnetic Particle Brakes give operators exactly what they want: high-quality, dependable performance with no headaches. 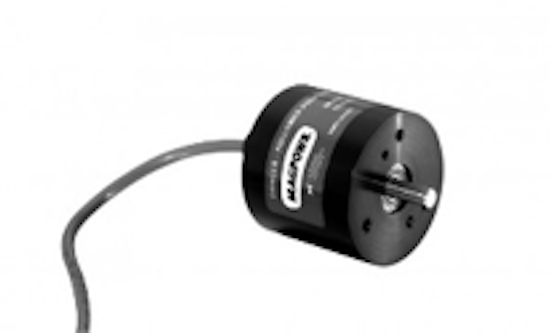 The magnetic particle brake is an inherently simple, durable device. They are easy to install, made of rugged cast iron for long life and have minimal moving parts, meaning the brakes can be mounted and start performing immediately. The magnetic particle brake is unique in that it acts like a torque valve, allowing any amount of torque to be passed to the load. Long life, smooth starts, and silent operation make it perfect for cycling and overload applications. The unit is offered in a variety of mounting styles in both clutch and brake configurations. 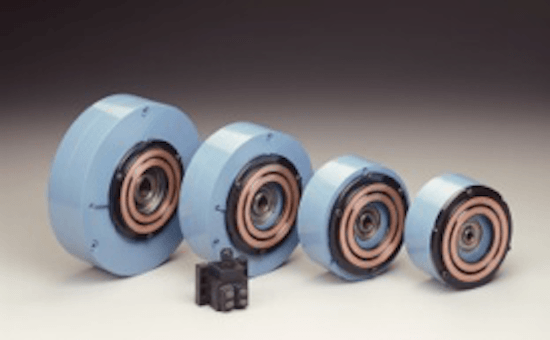 Unlike other magnetic particle brakes, a horizontal axis is not required for shafts utilizing MAGPOWR's B-7V & B-20V Vertical Magnetic Particle Brakes, thanks in particular to the unit’s disk-shaped rotor. Other brakes sport cylindrical designs, requiring a horizontal shaft axis. The B-7V & B-20V operate with the axis vertical, horizontal, or at any other required angle—the space between the rotor and the two sides is filled with magnetic particles, so the unit can be operated in any orientation. 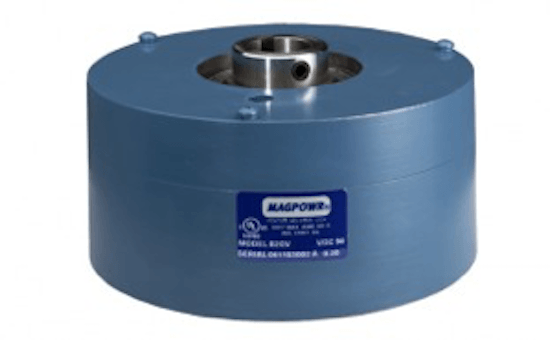 MAGPOWR's B-7V & B-20V Vertical Magnetic Particle brakes, made of rugged cast iron for long life, are easy to install and have minimal moving parts, requiring very little installation and calibration. 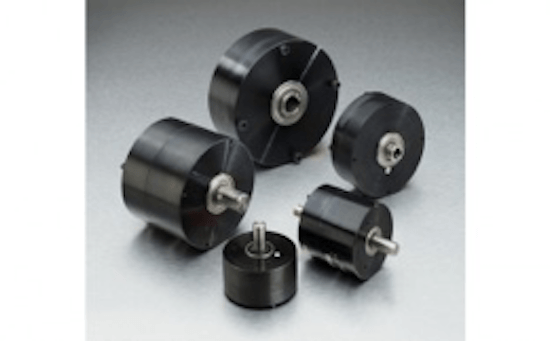 These brakes assist in smooth, repeatable torque that is proportional to current, and applications include tensioning of film rolls on vertical shafts, packaging machines and machine tools. State-of-the-art magnetic particle technology featuring the latest materials and components, modern manufacturing techniques and a sleek design. MAGPOWR’s Global Series Clutches gives you all that and more. 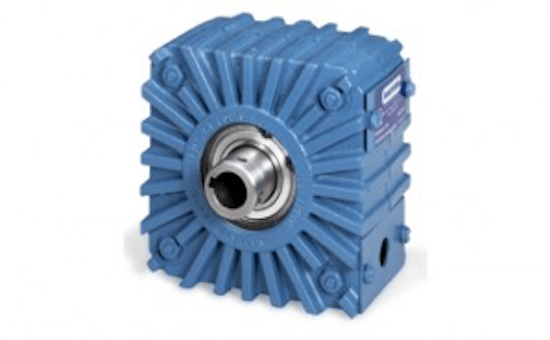 Smooth controllable torque, torque repeatability and torque independent of speed make these clutches suitable for many power transmission and tensioning applications. Long life is assured by polished seal surfaces, high temperature materials and rugged, compact construction. The clutch consists of two rotating members: the inner member is the rotor (output member, mounted on a rotating shaft) and the outer rotating member is the housing assembly (input member, driven by a gear, pulley or sprocket attached to the mounting rabbet provided on the side of the clutch housing). No couplings, mounting feet or other attachments are required, since the clutch becomes an integral part of your machine. Used under slip conditions, MAGPOWR Clutches and Brakes generate significant heat that must be dissipated. Often, that heat is dispersed via that model’s convection cooling ability. 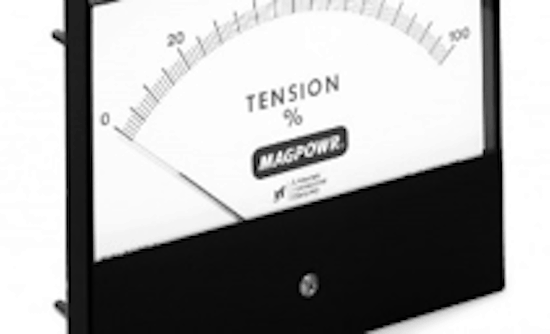 If the application exceeds the dissipation capacity of a convection cooled model, additional heat dissipation capacity can be achieved through the addition of MAGPOWR’s forced air or water cooled options. 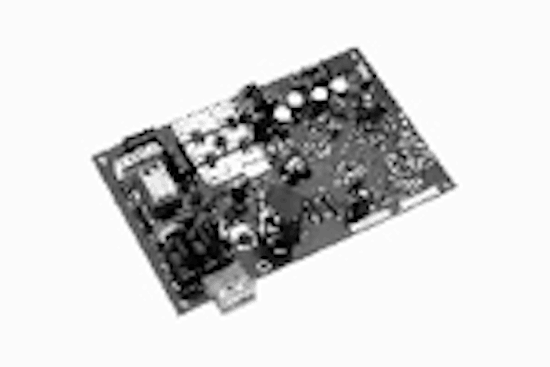 The addition of these accessories can increase the heat dissipation capacity by 300-500 percent. FORCED AIR COOLED: The air hood and blower assembly is a pre-assembled shroud that forces air from the blower through the clutch or brake. 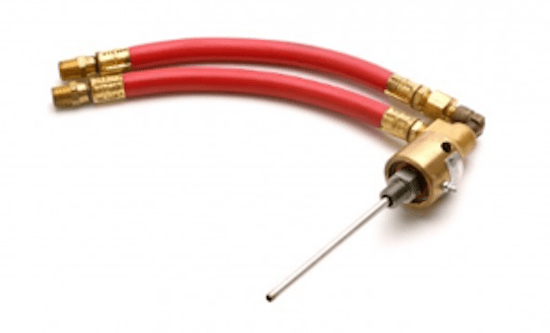 Forced air-cooling is particularly useful on applications having a low RPM unit. Factory assembled units with this option are designated by the letter “A” after the model number. WATER COOLED: In these units water is forced into the hollow rotor through a tube in the shaft and is returned through the shaft to the special water fitting or coupling. Water-cooled clutches and brakes are designated by the letter “W” after the model number. Water fittings must be ordered separately. FORCED AIR & WATER COOLED: The Forced Air and Water Cooled combo on a MAGPOWR unit gives maximum heat dissipation capacity. 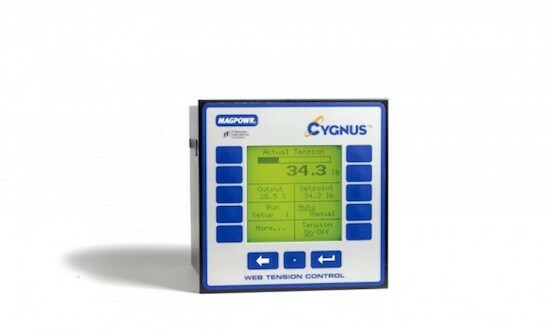 Factory assembled units with both options are designated by the letters “WA.” OVERSPEED CONTROL: An additional option to these cooling methods on rewinds is to use the ‘inverse diameter’ option available with some of our open loop and closed loop controllers. 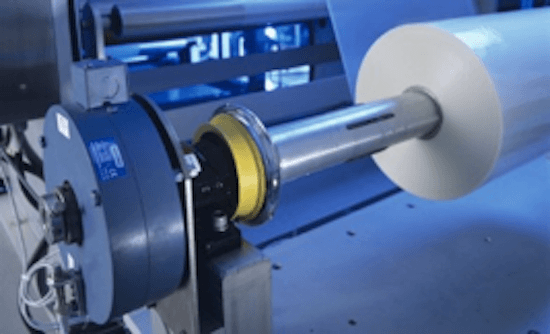 The controllers limit overspeed and thus heat as a rewind roll grows in diameter and the rpm slows.